Now that Black Friday and Cyber Monday are concluded, did any of you get anything you wanted at a good price? 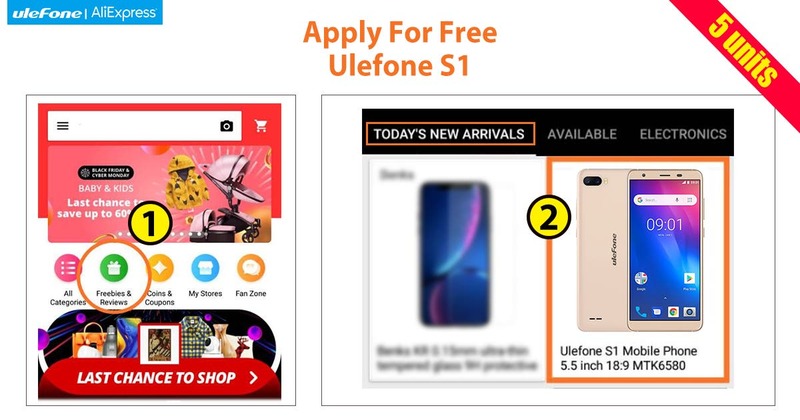 If the answer is no, or at least, not enough, then there’s one more chance to get some products at discounted prices or even for free, thanks to Ulefone. 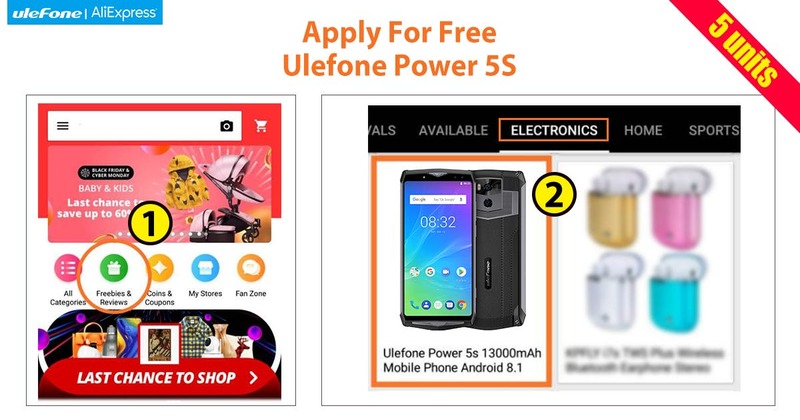 Ulefone did indeed start a giveaway for the Power 5S and Ulefone S1 phones with five of them given for free for each model. The Ulefone Power 5s is the entry level smartphone of big battery series as it packs a massive 13000mAh battery and 5V5A fast charge as well as Qi wireless charge. The phone adopts a 6.0 inch 18:9 big screen, an octa-core processor and 4GB RAM plus 64GB internal storage. Cameras are 21MP+5MP on the back and 13MP+5MP at the front, to help you capture the unforgettable moments. The phone supports face unlock and fingerprint ID plus NFC and Google Pay. And Android 8.1 as the OS. Click here to get one at the price of $209.99. As for the entry level Ulefone S1, the smartphone comes with Android 8.1 Go edition operation system. The phone comes with 8MP+5MP dual rear camera and 5MP front camera, supports face unlock and NFC and Google Pay. The phone supports dual SIM and dual standby. Click here to get one at the price of $39.99. Aside from getting a free smartphone, you can also have a special discount for Ulefone Armor 3. World’s largest battery rugged phone – Ulefone Armor 3 – also comes at the special price of $256.49 for just three days. The Ulefone Armor 3 IP68/IP69K and MIL-STD-810G certified. Click here to get one. 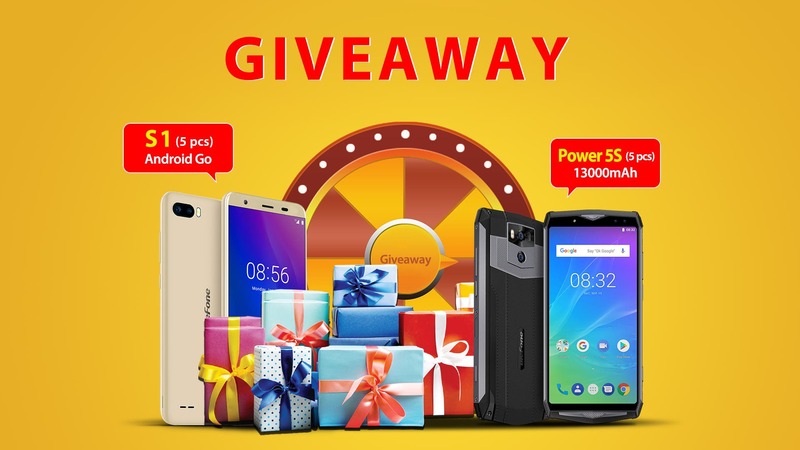 To enter the Giveaway, installa and open the Aliexpress App, then join the “Freebies&Reviews” in the activity page. If you would like to know more details, visit Ulefone’s official website.